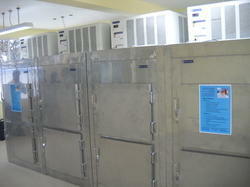 We are offering Mortuary Cooler Service to our clients. Our firm has renowned in the industry for Vego Air Cooler Repairing Services. These repairing services are completed utilizing the sophisticated techniques and advanced technology. In addition, we offer these repairing services at reasonable prices. Air Cooler Repair & Service : Crompton Greaves Air Cooler, Bajaj Air Cooler, Khaitan Air Cooler, Videocon Air Cooler, Symphony Air Cooler, Gilco Air Cooler, Indo Air Cooler etc. Due to rich skill and experience of this area, we are engaged in offering Charge Air Cooler Repairing Services to our customers. Credited owing to their timely completion, these services are broadly well-liked amongst our customers. More to this, our team renders these services in the most planned way. 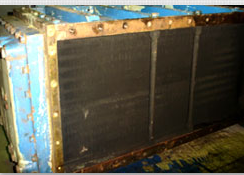 We provide IndustrialAir Cooler & Condenser Serviceto our customers.